New Chamber Opera Studio presents a staging of Offenbach’s satirical and evergreen look at the Orpheus story. A scathing attack on Gluck and the famous Orpheus opera, it features such tunes such as The Infernal Galop, widely known as the Can-Can. It premiered at the Théâtre des Bouffes Parisiens in Paris on 21 October 1858, and ran for a staggering 228 performances, and has held a place in the repertory ever since. The story is based on the well-known Greek mythology of Orpheus’s descent to hell to retrieve the soul of his dead wife Eurydice. The work, which features well-regarded figures of ancient times in comical and bizarre circumstances, evoked an outcry amongst Parisian critics with its acerbic satirical tone, but this only resulted in greater interest in Offenbach’s work and subsequently led to its widespread popularity. Act 1 Scene 1 opens in the countryside near Thebes. Public Opinion introduces herself as guardian of public virtue, before Eurydice enters and sings of the farmer Aristaeus whom she is in love with. Upon her husband Orpheus’s arrival, it is clear that they detest each other. Orpheus tells Eurydice that he has filled the cornfields with snakes as a trap for Aristaeus, and Eurydice tries to warn Aristaeus when he arrives but is encouraged by him to walk through the cornfields. Upon being bitten, Eurydice finds out that Aristaeus is the god of the underworld Pluto in disguise, and is led to Hades. Orpheus is delighted with his newfound freedom, but Public Opinion insists that he must retrieve Eurydice from the underworld for the sake of public decency. Act 1 Scene 2 opens on Mount Olympus in the clouds at dawn. Jupiter chastises the gods for their unbecoming behaviour, and reprimands Pluto for having abducted a mortal woman. Unable to tolerate Jupiter’s hypocrisy any further, the gods interrupt Jupiter by mocking his own amorous exploits. Public Opinion then enters with Orpheus, and Jupiter instructs Pluto to return Eurydice to Orpheus, and all the gods follow Pluto to Hades to ensure that Jupiter’s order is obeyed. Act 2 Scene 1 opens in Pluto’s boudoir, in Hades. Eurydice is finding the underworld very dull. Jupiter, who arrives with Pluto, finds out where Eurydice is being kept prisoner and manages to get through the keyhole of the door of her room by being transforming into a fly. Jupiter reveals his true identity to Eurydice and suggests that she should escape with him to Mount Olympus, in the midst of the chaos of Pluto’s party. Act 2 Scene 2 opens in Hades. Pluto’s party is well under way with exuberant dancing, and Eurydice is present at the party disguised as a Bacchante. Jupiter tries to flee with Eurydice, but is stopped by Pluto who informs Jupiter that Orpheus is on his way with Public Opinion. Upon arriving, Orpheus demands for Eurydice to be returned to him, and Jupiter obliges – on the condition that Orpheus does not look back at Eurydice while leading the way out of Hades. The task is duly carried out, until Jupiter throws a thunderbolt just behind Orpheus, causing him to turn around in shock and thus losing his claim on Eurydice. 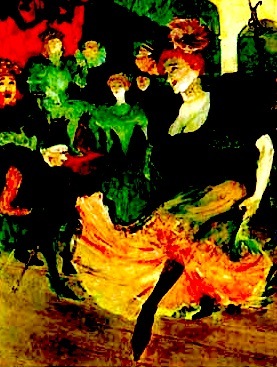 All except Public Opinion is happy with the outcome, and the raucous cancan is reprised. This English version is by Geoffrey Dunn, and the performances are given by arrangement with Josef Weinberger Limited. Variously described as a masque, serenata, pastoral opera, or a “little opera” (as Handel wrote in a letter while it was being composed), Acis and Galatea was first performed during the summer of 1718 at Cannons, the seat of James Brydges, Earl of Carnarvon (later Duke of Chandos), at Edgware, a short distance north-west of London. As resident composer, Handel supplied his patron with church music, as well as two dramatic works, Esther (the first English oratorio – and recently performed by the NCO Studio) and Acis and Galatea. The oratorio illustrates the story of the love between Acis, a shepherd, and Galatea, a semi-divine sea-nymph. The two lovers seek each other, enlisting the counsel of another shepherd, Damon. However, the amorous, pastoral mood of the oratorio darkens with the approach of the jealous “monster” Polyphemus, a hideous giant. He threatens force, but another shepherd, Coridon, advises him to woo Galatea more gently. Acis militantly decides to resist Polyphemus, and the lovers swear their eternal devotion to one another, until they are interrupted by the enraged Polyphemus, who intrudes and crushes Acis with a rock. Galatea laments the loss of her lover, but the chorus reminds her of her deity – she exerts her powers and transforms him into a fountain, and they all celebrate Acis’s watery immortality. Let us know you’re coming and invite your friends via Facebook. Visit our event page. Rossini’s sparking comedy The Barber of Sevile is based on Pierre Beaumarchais’s play of the same name, first performed in 1775 in Paris at the Comédie-Française at the Tuileries Palace. It was first performed on 20 February 1816, and is one of Rossini’s most popular operas. Act 1, scene i opens outside Dr Bartolo’s house. The elderly Bartolo is guardian to the young Rosina. A band of musicians serenade (unsuccessfully) the window of Rosina’s room; they are in the employ of a poor student, Lindoro who is deeply in love with Rosina. Lindoro, however, is Count Almaviva in disguise, hoping to persuade Rosina to love him for himself and not his money and position. The famous ‘Largo al factotum della città’ heralds the arrival of the Count’s former servant, Figaro, now the town barber. He is also barber to Dr Bartolo, the Count engages his services in order that he might meet Rosina. After a moment or two, Figaro comes up with a plan. The Count should disguise himself as a solider to be billeted with Bartolo; if he also pretends to be drunk, it will make gaining access easier. Act 1, scene ii opens in Bartolo’s house. Rosina is writing to her lover ‘Lindoro’. As she leaves the room, Bartolo and Basilio enter. Bartolo is suspicious of the Count (who he only knows in his true guise), but the wiley Basilio advises that the way to deal with him is to destroy him with rumours. Rosina re-enters with Figaro, who asks her to write to Lindoro, but she is surprised by Basilio. Berta, Bartolo’s housekeeper, leaves only to be met by the ‘drunken’ Count, now in disguise as a solider. Berta calls Bartolo, but he is no more effective at removing the Count. In the confusion, the Count manages to tell Rosina that he is Lindoro, and passes her a letter. Seen by the Bartolo, he demands to know what is on the paper; Rosina responds by giving him her laundry list. An argument breaks out between Bartolo and the Count, who are then joined by Basilio, Figaro, and Berta. The noise attracts the Officer of the Watch, his refusal to arrest the drunken solider (the Count quietly reveals his true identity, making arrest impossible) causes mayhem. Act 2 opens with Almaviva appearing again at Bartolo’s house in disguise, this time as a singing teacher replacing the supposedly ill Basilio, who usually teaches Rosina singing. The disguised Count gains Bartolo’s immediate trust by giving him Rosina letters and revealing that he believes ‘Lindoro’ to be one of the Count’s servants. Figaro arrives to shave Bartolo, who does not trust the replacement music teacher, and is shaved in the room while Rosina is given her lesson. The supposedly ill Basilio appears; he is bribed to pretend to be ill, and disappear. In the end, though, Bartolo discovers the trick, and resolves this situation by deciding to have a marriage contract drawn up between himself and Rosina. He also convinces Rosina that ‘Lindoro’ is not a student, but someone working at the wicked Almaviva’s behest. The Count and Figaro arrive to rescue Rosina from the unwanted marriage via a ladder at the window. Believing Bartolo’s story of betrayal, Rosina rejects Almaviva; he, however, reveals his true identity, and they are reconciled. However, they are delaying the departure; Figaro tries to get them to depart but fails, and then they discover the ladder has been removed (by Bartolo)! Basilio enters with notary; the notary has arrived to marry Rosina and Bartolo. However, Almaviva bribes Basilio to witness his (Almaviva’s) marriage to Rosina, and by the time Bartolo arrives, it is too late! All agree that removing the ladder was a ‘Useless Precaution’. New Chamber Opera will be performing the work in the English translation by Walter Ducloux published by G. Schirmer, Inc. The performance will use the Ducloux version, further arranged for Studio performance. Orfeo laments the death of his wife Euridice as he is joined by a group of shepherds and nymphs who mourn her death in a sombre chorus. After sending them away, he fumes about the cruelty of the gods, resolving to bring her back from the underworld. The God of Love Amor appears, revealing that he can reclaim his wife from Hades on the condition that he must neither look at her not explain his bizarre behaviour until they have returned to Earth. Upon his descent to the underworld, Orfeo is stopped by the Furies but appeases them with his singing accompanied by his lyre. Moved, they allow him to enter the enchanting Elysian Fields where he pleads to the Blessed Spirits to bring Euridice to him and they grant his wish. Orfeo leads Euridice away hurriedly without looking at her, instilling fear in Euridice that he no longer loves her as he refuses to explain himself. Unable to bear her sorrowful pleas, Orfeo turns to look at her and she dies immediately. A grief-stricken Orfeo is about to take his life when Amor interrupts and brings Euridice back to life in reward for his unwavering faithfulness. The lovers are reunited, and the power of love is celebrated by all. Orfeo ed Euridice, an opera in three acts composed by Christoph Willibald Gluck, was originally set to an Italian libretto by Ranieri de’ Calzabigi and was first performed in Vienna 1762. Based on a Thracian myth, this opera can be categorised under azionie teatrale – Italian for ‘theatrical action/plot’ – and is the first of Gluck’s three reform operas. Both Gluck and Calzabigi were influenced by the French tragédie en musique and the reformist ideas of Francesco Algarotti, and thus set out to reform the elaborate Italian opera seria with ‘noble simplicity’, and with a stronger emphasis on drama instead of music, dance or setting. This reformist approach is reflected in the absence of the common features of opera seria such as da capo arias, secco recitatives accompanied by the continuo only, the rigid structure of alternating recitatives and arias, and a complex plot with sub-plots. While there is a more varied and flexible use of recitatives coupled with self-contained arias to drive a simplified plot, the chorus and the orchestra assume a much more significant role than before in Italian opera. Orfeo ed Euridice has undergone numerous revisions, including a 1774 French version by Gluck, and a 1859 hybrid version by Berlioz which is perhaps most widely-known and performed today, but NCO will present the original Italian version – the milestone in the history of opera. The story of Philip Glass’s opera The Fall of the House of Usher is based on the Poe ghost story of the same name by Arthur Yorinks. It was commissioned by the American Repertory Theater, Cambridge, MA and the Kentucky Opera and premiered in 1988. As with much Gothic fiction, the extent to which the audience should believe what they’re watching and the extent to which the story is in their own immaginations is left vague. The central character, Rodderick has hyperesthesia (extreme hypersensitivity to light, sounds, smells, and tastes); the plot turns on Rodderick’s death from shock at the reappearance of his ‘dead’ (and perhaps murdered) sister. As one commentator has remarked: ‘Poe hints at much, but states hardly anything at all’.